ACID CORE SOLDER. Buy quality Auto and Marine Electric Parts and Accessories online, Sydney. 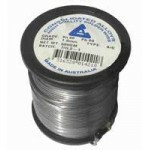 SOL4060A1.6Solder 40/60: 40%TIN, 60% LEAD Acid core solder 1.6mm 500gram rollCheck if acid flu..